Immigration is a complex phenomenon that involves multiple visa rule and immigration laws, etc. hence, the applicant of immigration often remain concerned and tense about following the complex procedure and immigration instructions. Some try to go about itself, others prefer hiring a trusted consultancy service for visa and immigration. However, when one talk about immigration to Canada, most of the fear and anxiety of the applicants get reduced. 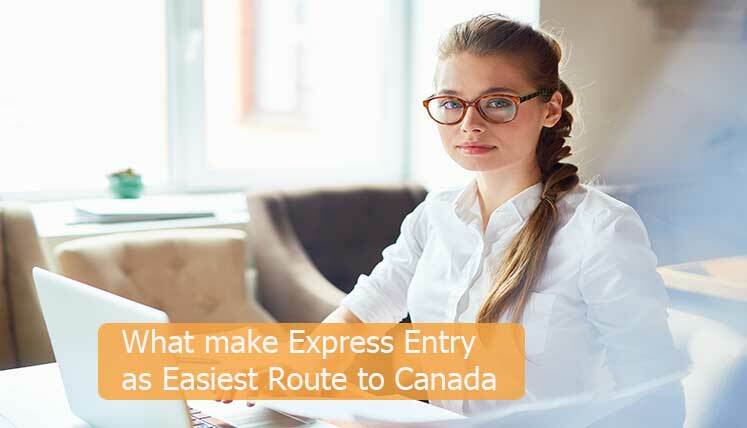 The Express Entry system of Canada makes the Canada immigration process probably the easiest one in the world. As the title suggests, the Express Entry system provides the fast entry in Canada a permanent resident. It was designed by IRCC (Immigration Refugees and Citizenship Canada) in January 2015 to meet the demands of local labour market and also provide the faster access to Canada PR to skilled, talented and well deserving skilled professionals from overseas countries. The express entry is based on a point system called Comprehensive Ranking System (CRS). The CRS assess the profile of the registered applicants in express entry based on some key factors, i.e. work experience, qualification, age, language skills (English or French), etc. Also read– How many points required for Canada PR 2018? Like in last couple of years, express entry is going to be important and hassle-free pathway to get Canada PR this year. 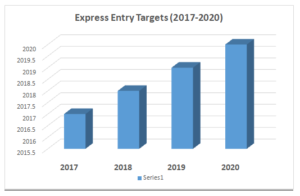 Let’s take a look at Express Entry target in years to come. Last year, the IRCC had the target to invite 71,700 candidates to apply for Canadian permanent residency. Now, this year, this target has increased by 4 percent to be 74,900. As per the Canada’s Multiyear Immigration Plan, announced by the government in November 2017, the IRCC will continue to increase the annual immigration target for Express entry and by 2020, express entry will invite 85,800 candidates to apply for Canadian permanent residency. No compulsory job bank account, etc. This trend of relaxed immigration rules and requirement is likely to continue in years to come as well and hence, express entry will be the easiest route to Canada not only this year, but also in years to come. If you have plans to settle in Canada, this is the high time to prepare your immigration file and apply in the Federal Express Entry System of Canada with increased chances of receiving Invitation to Apply for Canada PR. To get inclusive immigration process help and assistance from qualified Canada immigration experts, you may call Visas Avenue immigration experts on Toll-Free Number- 78-18-000-777. Alternatively, e-mail your queries to Visas Avenue e-mail id- info@visasavenue.com.